The Rocky Mountain Rampage is a family of players, parents, volunteers, coaches, and board members all working towards the goal of being the foremost fastpitch organization in the State of Colorado. Our mission is to produce exceptionally skilled athletes who excel on the field and academically, as they strive towards success in college. This mission requires hard work, discipline and dedication. Our highly experienced staff of coaches and trainers are deeply committed to this worthy goal. 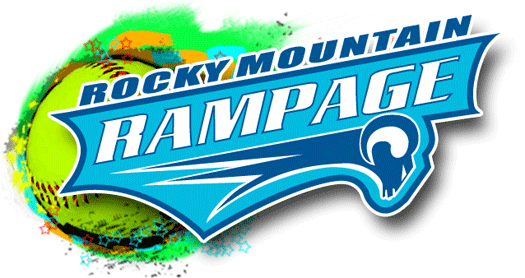 General Information about the Rocky Mountain Rampage (RMR) Season: RMR players should expect to devote time for practice and beginning in the fall. In January, teams will start having an open indoor gym and commit to an indoor practice schedule. Players are expected to attend all indoor practices unless a religious event, school event or sport in season or coach accepted reason for not attending. It is important to let the coach know when you are not able to attend. Between the months of April through July is when the season is in full swing, your daughter’s softball commitment should become a top priority. Attendance at games and practices is required. RMR will play a competitive schedule which includes tournament play on weekends. All RMR families are encouraged to help at any tournaments attended. Tryouts are held typically at the end of the summer season in July or August. Estimated fees and number of games & tournaments for the 2018 season will be determined by the coach and based on team goals. Fees collected are used for tournament entry fees, equipment, indoor practice space, and uniforms. A $200 non-refundable deposit is required to hold a player’s position on a team. A parent meeting will be set upon team selection completion.